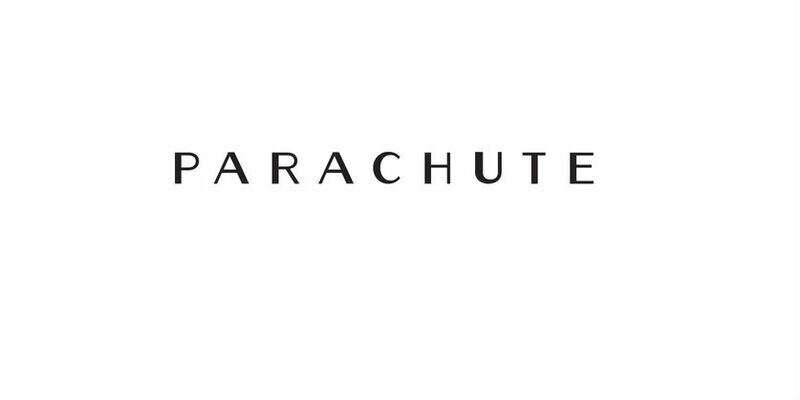 Parachute Home is one of our favorite merchants where you can find comfortable bedding and bath linens. They make modern bedding and bath essentials for a more comfortable home. When the buzz about the uses and benefits of coconut oil first started up, lots of people just assumed it was either hype, or a bunch of nonsense from the “all-natural” advocates out there. Well, as it turns out, it’s neither. You can use it for everything from healthy cooking, to flavoring smoothies and coffee, to cleaning and conditioning wood! Coconut oil and what it can do really is remarkable. And in terms of its beauty uses? The possibilities are almost endless! What to look for when buying coconut oil? Once you decide to give this little miracle oil a try, you might be overwhelmed with your choices. To insure you’re using the best product for your skin, look for unrefined organic coconut oil. And also, you will want to get a large container of it, trust us. Not only will you be able to find more uses for it every day, but you’ll find that a little goes a long way. So what are some of the ways coconut oil can be incorporated into your beauty routine? Body lotion – This one is probably the first use you’d suspect for using coconut oil as a beauty implement. Why not just use a regular store-bought lotion? Many, if not most, of them are petroleum or water-based. Coconut oil, on the other hand, is all natural and can moisturize your skin more effectively without any additives. Shaving cream – Constantly suffer from those tiny red bumps after shaving? Skin too sensitive to use with many shaving creams and lotions? Try coconut oil! Use it as you would any other shaving product. Wet the area, smooth on the oil, and shave. Your skin will be unbelievably soft and supple afterwards. Face mask – Coconut oil is naturally antiseptic, with many antifungal and antibacterial properties. It’s also antioxidant rich, which works wonders for your skin. There loads of great face mask recipes online, all using coconut oil as the base. You are sure to find one or more that will address your skin concerns and skin type beautifully! Makeup remover – Many makeup removers use oils to breakdown the heavy-duty mascaras, shadows, and liners we use these days…but not all the oils they use are good for your skin. Coconut oil, though, being all natural, will remove all your eye makeup completely while not aggravating your skin. Simply apply a bit to a cotton pad, remove your eye makeup, and rinse the area clean of any remaining oil. Remove the rest of your makeup as usual. Makeup brush cleaner – You know that you risk a serious bacteria build-up by not cleaning your makeup brushes at least once a month. The good news is that by combining a little antibacterial soap with a little coconut oil, you can not only get your brushes clean and free from bacteria, but for those brushes made from natural hair, the oils will help to condition the bristles. As women, we like choices (we pretty much demand them). And in terms of makeup choices, there are literally thousands of makeup products on the market. One of the most popular today is cream eyeshadow. I’m sure you’re more than familiar with its predecessor, powder eyeshadow, and cream shadow is not meant as a replacement for it. But they are obviously very different formulations, and best suited for different individuals and occasions. So what is it and how is it different? Not only is cream shadow obviously a different formulation from powder eye shadow, it is more versatile. Cream shadow can actually sometimes double as a shadow base or lid primer, as long as you check the label (it will specify use as a base). This is perfect, especially if you are attempting makeup for hooded eyes. Since the hooded eye has a slight overlap of skin onto the lid, ordinary powder shadow and regular kohl liner can often be rubbed off within a matter of minutes after applying. Talk about frustrating! The best way to utilize cream shadow as a base is to pick a color complimentary to the powder shade you will be using. For instance, if you’re going for a simple smokey eye in browns, start with a shimmery taupe cream eye shadow (some excellent picks would be Clinique Touch Base for Eyes in Uplighting, Make Up For Ever Aqua Cream in 15 Taupe, and Maybelline Eye Studio Color Tattoo in Tough as Taupe. But if you really want to pop your eyeshadow color, choose a white cream base for the lid. Any color will look bold and vibrant over that. Cream shadows also come in very matte colors that mimic various skin tones (such as Laura Mercier Eye Canvas, Lancome Aquatique Waterproof Eyecolour Base, and L’Oreal Magic De-Crease Eyelid Primer). Such creams are mainly used as eyelid “primers,” which act to smooth out the eye area, and provide an even canvas on which to create your eye makeup masterpiece. These matte skin tone finishes can be used to anchor any color powder eyeshadow to make the powder shadow “read true,” as opposed to the bolder or vibrant examples with colored primer bases above. Cream eye shadow in a darker color can also be used alone to create wonderful smokey eye looks. They are easy to blend, easy to drag down under the lower lash line, and easy to smudge, for the ultimate in smoked-out sexiness. And as long as the formulation is long-wear, your smoky eye should last all night! Powder eye shadow, on the other hand, is like a comfy pair of jeans. The ones you could never do without. You know just how they will fit, and just how to work them. You also know their limitations. Matte, shimmer, glitter, holographic, baked, loose, and pigment…powder eye shadow has come a long way, in the past 10 years alone. But basically, it is what it is. You know how you can use it, and you also know how long it usually lasts on your lids (All through the work day? What about a humid summer afternoon? A party night of dancing?). So yes, powder shadow, when worn alone, does have its limits. But one thing powder shadow can do is double as some of the best brow powder around! MAC shadows, in particular, have dozens of suitable “brow shades” of eye shadow (such as MAC Charcoal Brown, MAC Omega, and MAC Brun). Basically, what you’ll find is that it’s impossible to say that one is better than the other when comparing powder to cream eye shadow. They are both amazing and useful in their own ways. And when used together…they create an unstoppable, unyielding, undeniable eye makeup tour de force! In the end, you’re the one who wins, since you get to use them both! We often focus a lot on what to wear and our accessories often find themselves second in the grand scheme of things when we are deciding on an outfit for a night out. It is my honest belief that you can accessorize a simple outfit and make it go from ok to wow with just a few simple statement pieces, so read below for a few simple pieces to help change your outfit from plain to amazing in just a few simple steps. If you have selected a simple, block color outfit such as a plain black jumpsuit or a black top with a pair of black skinny jeans or trousers, a big, bright and bold statement necklace can really pull together and set off your entire outfit. If you feel comfortable select a large, chunky necklace, in block colors to add a bit of color and style to a plain outfit. If you are heading out for the evening you might want to style a simple outfit with a clutch purse. You will find a brightly colored clutch will help to either brighten up a simple outfit or keep a busy outfit looking stylish, elegant and unfussy. Shoes are one of the most pivotal parts of any outfit and if you are looking for an elegant look a simple pair of strappy sandals really can help to bring your overall look together. If the weather does not really allow for sandals, which is especially true in many places throughout the winter, then a simple pair of court shoes or heeled boots while work just as well. Earrings are a simple addition to your outfit and you can go two ways with them. If you are looking to go simple with your accessories because you have a bit more of a bright or fussy outfit, a simple pair of studs can help to make any outfit look classy. If you feel like your outfit needs more color you can consider a colourful pair of statement earrings. If you have longer hair you might want to consider some accessories for your hair. If you have your hair loose around your shoulders you might want to add a simple or sparkling headband. If you are attending a formal event, such as a wedding, a fascinator works well instead of committing to a full on wedding hat. Other hair options include clip in florals or a nice simple hair clip to keep your hair off of your face.